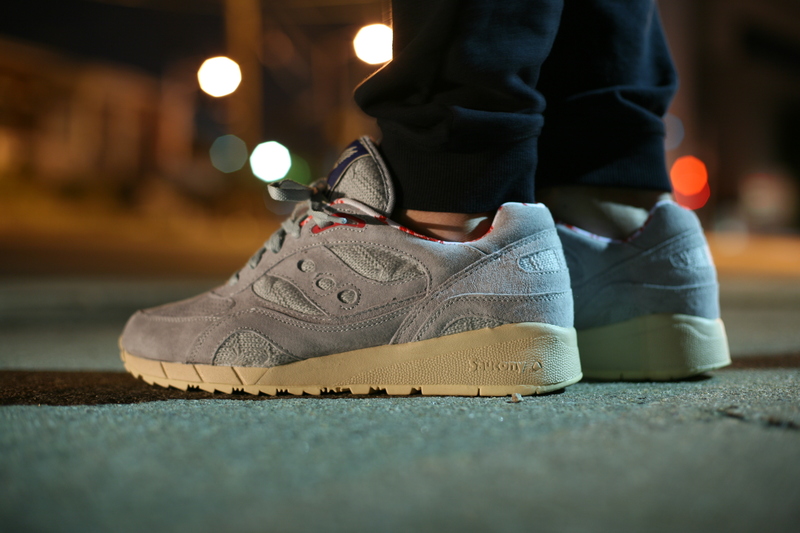 This is the grey colorway of the “sweater pack” This was another collaboration of Saucony & the infamouse Boston shop, Bodega. The collar a beautiful red floral print, which really stands out. The upper consists of suede and some sweater/knit panels that finishing off the cleanness. Maybe something your grams would have knitted you.. limited to 300 pairs per colorway.